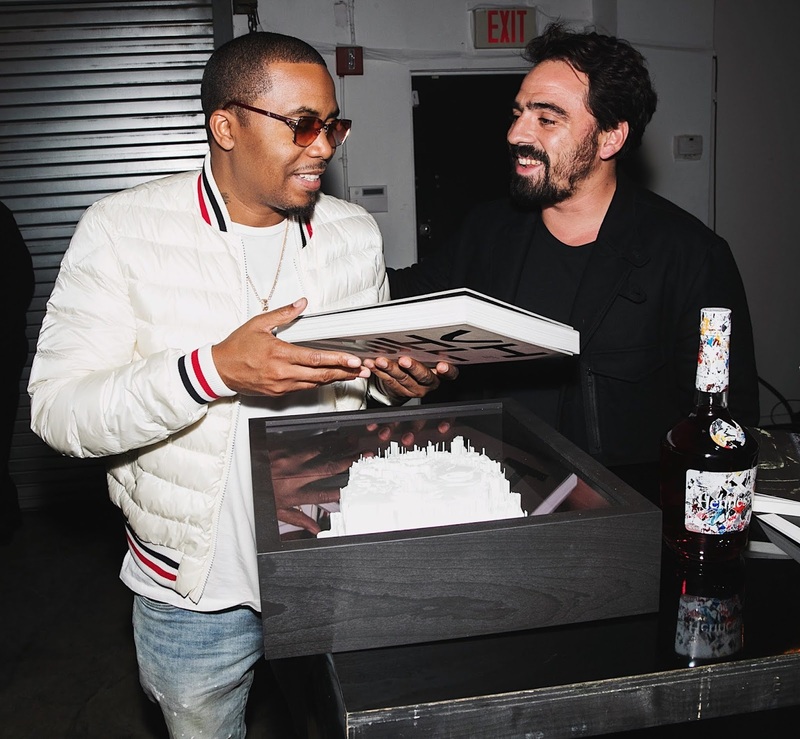 Urban artist, Alexandre Farto – aka “Vhils” and musician Nas at the 2018 Hennessy Very Special Collector’s Edition by Vhils event during Miami’s art week on December 5, 2018. The private dinner officially unveiled the Hennessy Very Special Collector’s Edition by Vhils – a limited-edition release of 100 unique individually-signed pieces designed using the art-world phenomenon’s famed ‘Making the Invisible Visible’ technique. The new artwork is available on December 6 exclusively on Clos19. 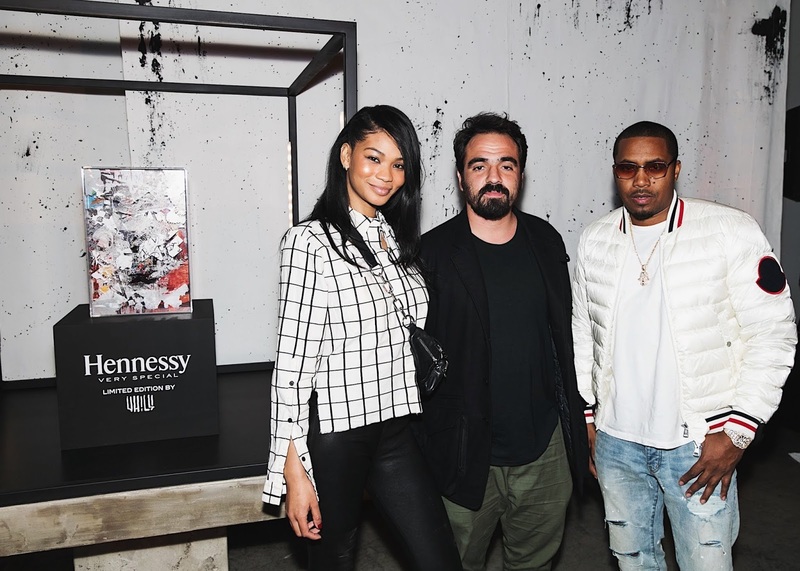 Last night, Hennessy, the world's best-selling Cognac, hosted a star-studded private event to celebrate the unveiling of the Hennessy Very Special Collector's Edition by urban artist Vhils. 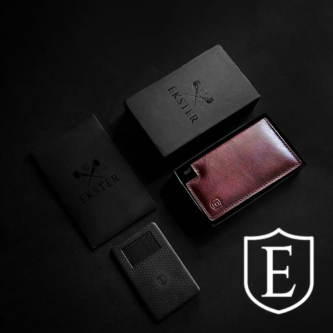 Available today, the limited release includes 100 individual pieces hand-signed and designed using the world-renowned Portuguese artist's famed "Making the Invisible Visible" technique. Hennessy Very Special Collector’s Edition by Vhils – a limited-edition release of 100 unique individually-signed pieces designed using the art-world phenomenon’s famed ‘Making the Invisible Visible’ technique. The new artwork is available on December 6 exclusively on Clos19. 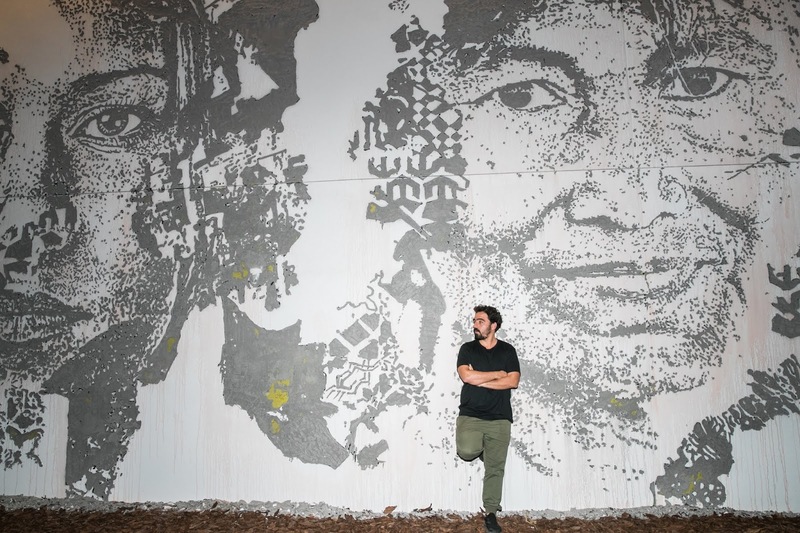 Urban artist, Alexandre Farto – aka “Vhils”, celebrates another exciting milestone: the debut of his first-ever solo show “Ethereal” inside The Wynwood Walls. Showing through February 2019, “Ethereal” debuted at the GGA Gallery on November 30, 2018 with a facade takeover and 28 unique pieces by the artist. 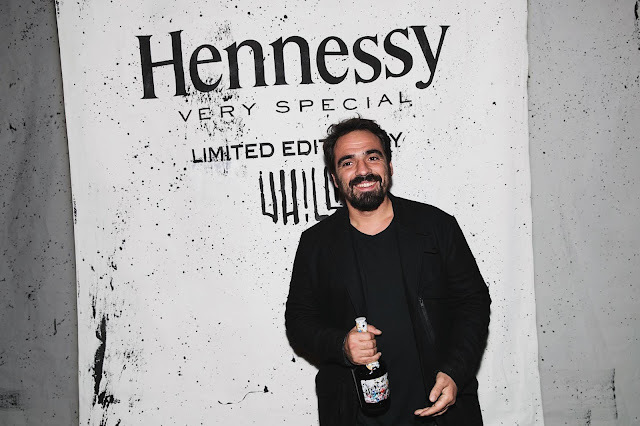 Urban artist, Alexandre Farto – aka “Vhils” introduces the 2018 Hennessy Very Special Collector’s Edition by Vhils at Wynwood Walls in Miami on December 5, 2018. Part of Art Basel Miami, the artist debuted his first Wynwood Walls solo show– ‘Ethereal’ – before unveiling a limited-release of 100 unique individually-signed pieces for Hennessy, created using the artist’s famed ‘making the invisible visible’ technique. The new artwork is available on December 6 exclusively on Clos19. VIP guests came together to celebrate the launch of the Hennessy Very Special Collector's Edition by Vhils, along with another exciting milestone for the artist: the debut of his first-ever solo show "Ethereal" inside The Wynwood Walls. Showing through February 2019, "Ethereal" debuted at the GGA Gallery on November 30, 2018 with a facade takeover and 28 unique pieces by the artist. Model Chanel Iman, urban artist Alexandre Farto – aka “Vhils”, and musician Nas at the 2018 Hennessy Very Special Collector’s Edition by Vhils event during Miami’s art week on December 5, 2018. The private dinner officially unveiled the Hennessy Very Special Collector’s Edition by Vhils – a limited-edition release of 100 unique individually-signed pieces designed using the art-world phenomenon’s famed ‘Making the Invisible Visible’ technique. The Hennessy Very Special Collector's Edition is the most intricate and personal piece in Vhils' multi-faceted collaboration with Hennessy. Earlier this year, Hennessy embarked on a global tour with Vhils, including the unveiling of new murals in New York City and Chicago that uncovered the stories of DJ TJ Mizell and designer Joe Freshgoods. 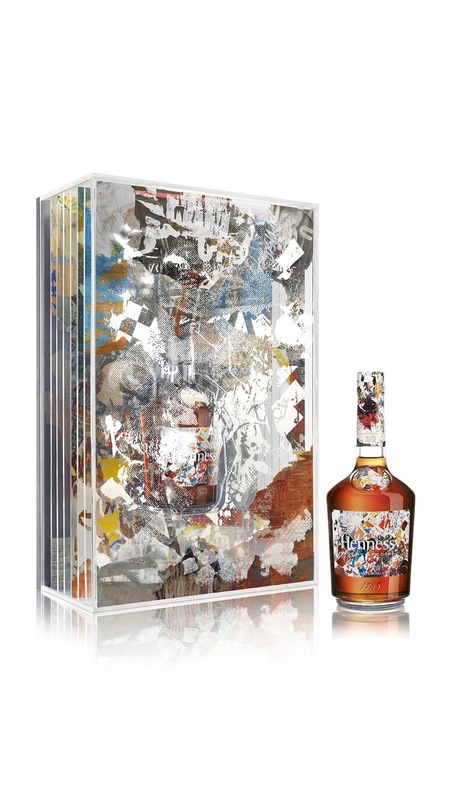 The Hennessy Very Special Collector's Edition by Vhils, SRP $1,000 (750ml), is now available for purchase via Clos19, LVMH's e-commerce site dedicated to the 'Art of Hosting'. 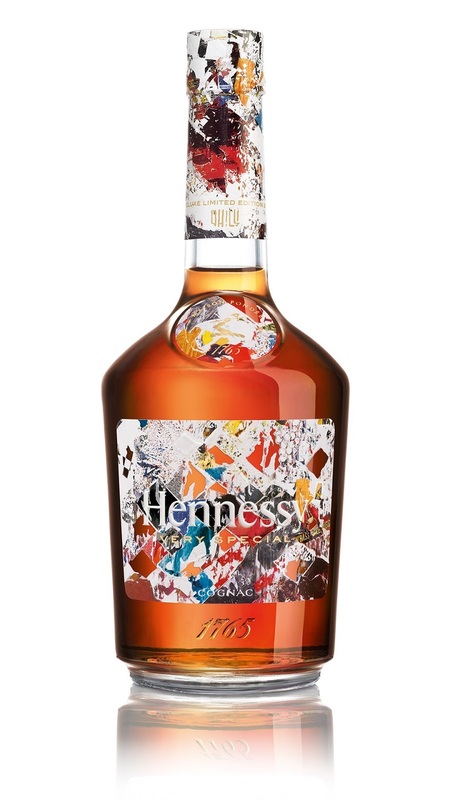 Reinforcing Hennessy's commitment to the arts, a portion of the bottle proceeds will benefit Pratt Institute's graduate program. For more information, visit Hennessy.com/US or follow Hennessy on Facebook, Instagram, or Twitter.